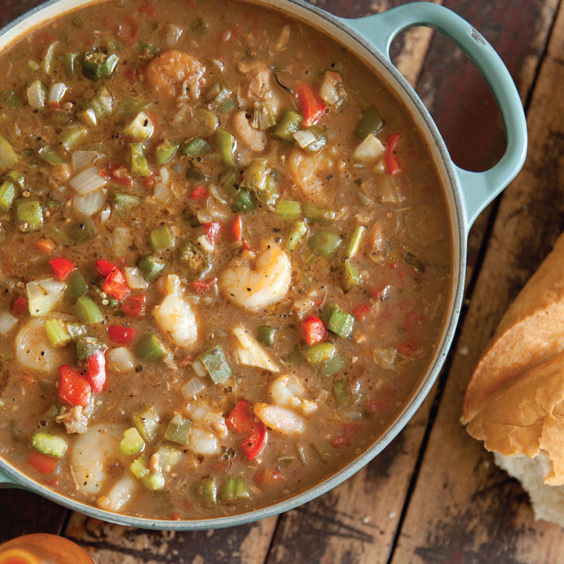 This seafood gumbo, packed with shrimp, oysters, red snapper, and, especially Louisiana blue crab, is a classic South Louisiana dish. I received many phone calls and text messages telling me that my gumbo made one of the fourteen picks of FOURTEEN GUMBO LOUISIANA LOVES. It is a honor to be picked and be among the many best chefs in this category. I even got a recognition from our State Governor of Louisiana John Edwards. Thank you to the editor and staff members at Louisiana Cookin Magazine and to all the avid readers for finding interest in my Gumbo and homemade cooking as a homemaker chef. Myra’s recipe is on page three, or it’s the second recipe down if you’re viewing this article as a single page. Clicking the pictures will direct to any of the gumbo recipes you may be interested in.